When will my soul be free and at peace, and through whose Grace? Who will protect me and my followers? None but you; O Lord of Wisdom. What is with you passes away and what is with God is enduring; and We will most certainly give to those who are patient their reward for the best of what they did (Qur'an 16:96). Oh you who believe! Persevere in patience and constancy. Vie in such perseverance, strengthen each other, and be pious, that you may prosper (Qur'an 3:200). Taking proper care of one’s health is considered by the Prophet Muhammad pbuh to be the right of the body. Why did people migrate from Iran to Harrow? In Iran the majority of the population are followers of Shi’a Islam, though some are of Sunni Muslim faith. 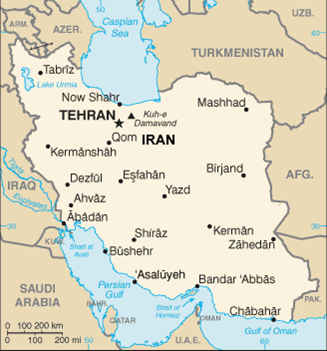 Other minority communities of the Jewish, Christian and Zoroastrian faiths, are recognised by the Islamic Republic of Iran as indigenous Iranians as “people of the Book.” The social and economic squeeze was felt by the minority communities, and a number of people started leaving after the revolution in Iran in 1979 that toppled the Shah. Many Jews migrated to Israel and Christians sought sanctuary in nearby Azerbaijan. Zoroastrians looked to the West, the USA, and India, where they had established communities. Many others who left were opposed to the regime change, and this included Baha’i followers. Zoroastrians are one of the oldest ethnic minority communities in UK with records of arrivals dating to 1724. During the British Raj, Parsees from India continued to come to London as merchants, professionals, and students. The influx of Parsees continued after the independence of India in 1947. With the purchase of Zoroastrian House in West London in 1969, many settled down in Harrow, Northolt, Wembley, Perivale, and Rayners Lane. The establishment in 2000 of the Zoroastrian Centre in Rayners Lane, meant Harrow became a nucleus for those who attended cultural and religious ceremonies held there. The Iranian community granted British citizenship are also supported with legal, educational, social and cultural services by HICA, Harrow Iranian Community Association. Iranian Muslims living in Harrow attend prayers at the Islamic Centre of England or the Husseini Islamic Centre.